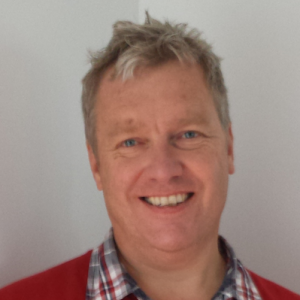 As founder of Collabforge, Dr. Mark Elliott has successfully designed and managed a range of high profile projects, working closely with clients in a highly versatile and collaborative capacity. Between 2007 and 2008, Mark led Collabforge’s reengineering of the City of Melbourne’s strategic city planning process for wide-scale collaboration. The result was Future Melbourne, an award-winning, world first ‘city plan that anyone could edit’, including the city’s diverse selection of stakeholders and the general public. Prior to founding Collabforge, Mark completed a PhD investigating the underlying dynamics and mechanisms that drive and enable online mass collaboration. The objective of this work was to provide understandings that could be directly applied to the purposeful engineering of mass collaborative projects and the communities that support them. Mark’s PhD was examined by Internet luminary and inventor of the term “virtual communities”, Howard Rheingold, as well as Francis Heylighen, a leading thinker in the areas of cybernetics and complex adaptive systems. Read more about Mark’s PhD. Mark has published and delivered keynote presentations on his work to the United Nations, federal governments, universities, international think-tanks, and academic and professional conferences around the world. Here is a list of his recent presentations and speaking engagements. Watch Mark during his interview with Howard Rheingold on citizen participation and online collaborative environments. 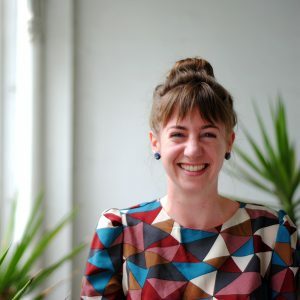 Since joining Collabforge in 2009, Hailey has been an integral part of over 250 projects, with diverse responsibilities ranging from developing strategic frameworks, to facilitating collaborative workshops, to developing online collaboration platforms. As Collabforge has grown, she has increasingly focused on designing and facilitating collaborative processes, and on strategy development. Prior to becoming part of the team, Hailey participated and led a number of initiatives in New York City related to open and participatory democracy. These included the Beta NYC meetup group and the 2009 Participation Camp ‘unconference’ on citizen participation in government. Despite her penchant for collaboration, Hailey can get pretty competitive too, excelling at obscure sports like disc golf, wiffleball, ultimate frisbee, table tennis and foosball. Bec takes the complex, breaks it down, and puts it back together better. Her skills include project management, business analysis, measurement and evaluation, databases and automation, visual reporting tools, product management, social marketing and behaviour change, and web design and development. Bec is helping to take Collabforge innovation and customer experience to the next level by streamlining our operational systems and leading the packaging and marketing of Collabforge products and services. Previously, she worked with corporate leadership in companies such as Newcrest Mining, Realestateview and APN Property Group to develop and implement targeted solutions to pressing operational and strategic challenges. She has completed a master’s thesis focused on the strategic design and delivery of social marketing campaigns to affect behaviour. John recently left ANZ after 12 years working in IT, Corporate Banking and Finance. Most recently he was a session designer and facilitator in the Bank’s internal ‘MG Taylor’ practice, which locally is also practiced by PWC, KPMG and Cap Gemini. The MG Taylor approach specialises in helping large, diverse groups solve complex problems in an accelerated timeframe (weeks or months of work achieved in 1-3 days). In this role he designed and facilitated nearly 30 events for large groups (up to 50) to collaborate in solving business problems, mainly for some of the Bank’s large transformation projects. He also gained experience in designing and building out collaborative work environments in this role. Outside of work John has experience in building his own ‘meet-up’ community both online and offline. Alvaro arrived in Australia in 2013. In his free time, Alvaro enjoys playing with son, playing guitar and reading about IT. 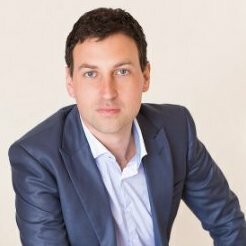 Julian is a futurist, organisational strategist, designer and facilitator of experiences that catalyze learning and development. Julian’s PhD research on the future of work explores the disruptive rifts in technology and social trends that are shaping the new economy. His thesis focusses on the new skills and environments individuals and organisations require to support sustained collaboration and innovation in rapidly changing marketplace. 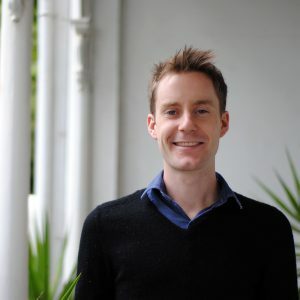 David has been working with not-for-proﬁts and community organisations for close to 15 years – including almost four years at Greenpeace Australia Pacific where he worked in Communications and Public Engagement and was the Campaign Project Leader on the successful viral campaign against Nestle for deforestation. In the last five years, David has experienced the growing effectiveness of the web and social media to connect and enable communities to come together, collaborate, and take action on issues ranging from climate change to mental health and poverty to marriage equality. 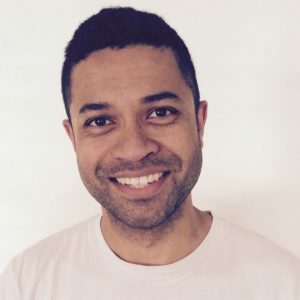 The use of digital media and online platforms has been deeply integrated into his current projects as founder of Doing Something Good, host of The Collaboratory Melbourne and producer of the Gathering Unconference. His mission is to help people and organisations doing something good to realise the potential of the strategic use of the social web, emerging models for business and collaborative networked communities to build better futures for all, together. 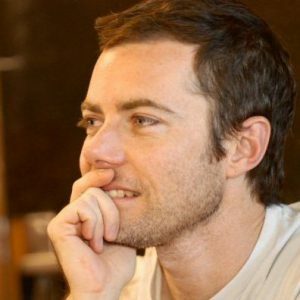 A graduate of the School for Social Entrepreneurs program in 2011, David was named Melbourne Social Entrepreneur of the Year in 2012 and one of The Age’s Melbourne Magazine Top 100 most “passionate, powerful and provocative personalities of 2012”. 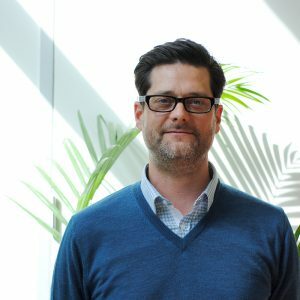 Matt is the Director of Fair Digital, a small technology agency helping to deliver innovative technology solutions for progressive and for-purpose organisations, including not-for-profits, charities, Government and social start-ups. He is also a board member for the Rationalist Society of Australia, a think-tank focused on promoting evidence-based policy in political discourse. Rik graduated from Twente University, The Netherlands with an MSc. in Electrical Engineering biased towards Computer Science. Having worked in London, Tokyo and the birthplace of Albert Einstein (Ulm, on the Danube), he has put his roots down firmly in Melbourne, at least for now. After years of team-lead and managerial roles in C++ and Java projects, Rik discovered the website development framework Drupal, founded his own company Flink and hasn’t looked back. On hot Sundays and summer nights, he enjoys perfecting his handcrafted ginger mojito with fruit and herbs from the balcony garden. Alexar is a Drupal Developer at Collabforge, and has 8 years’ experience in web and PHP development. 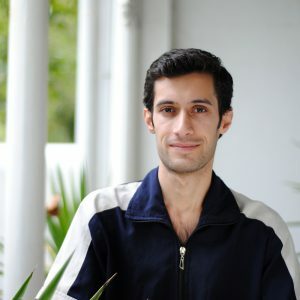 He graduated from Tehran Polytechnic as an Electrical Engineer, but switched fields to IT. Since then, Alexar has been involved in a variety of projects of different scales, as a developer or team leader. He was also a trainer at the Iranian Academic Center for Education and Research. On weekends, he helps a team of friends and former pupils in Iran work on projects. His hobbies include enjoying nature, drawing art and calligraphy. Laura is American-born and educated, and made the move to Melbourne in 2002. She’s also a keen dancer and spends much of her free time involved in the contemporary dance scene in Melbourne (check out her dance essays here). Other interests include her ridiculously adorable cat, Oscar, film & anime, and getting out to see live gigs. Kylie draws on her ability to engage and empower diverse audiences through her collaborative leadership roles in startups, Government and not-for-profit sectors. She is an acutely deep listener whose strength is in facilitating high stake, sensitive environments with Executive, middle management and front end staff. 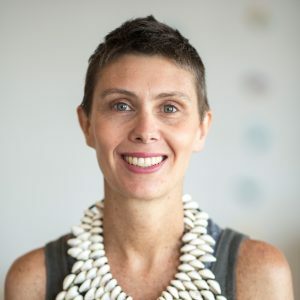 As Founder of Peer Academy, she helps the public purpose sector shift from managing risk to consciously co-designing better futures with citizens in ‘wicked’ areas including; family violence, education, youth, homelessness, indigenous rights and place making. During her 8 years in Government, Kylie led complex, multidisciplinary urban renewal initiatives and worked with hundreds of people and groups with the purpose of facilitating innovative solutions to seemingly stuck and entrenched issues and divides. 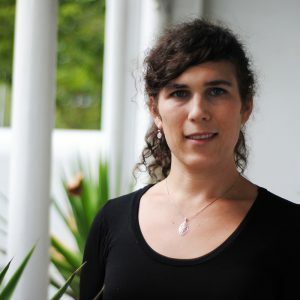 Kylie has 15 years experience in growing capacity in facilitation, co-design, action research, lean startup methodology and collaborative leadership and her domain experience in these areas underpins the design of Peer Academy’s branded learning experiences. 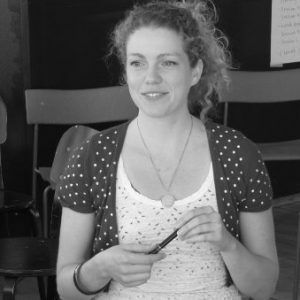 Kylie’s a fully qualified facilitator, mediator, strategic planner, social innovator and Angelcube Accelerator graduate. She is a finalist for Techcrunch Disrupt’s Social Innovation Award 2015 and continues to complete her studies in process oriented psychology.